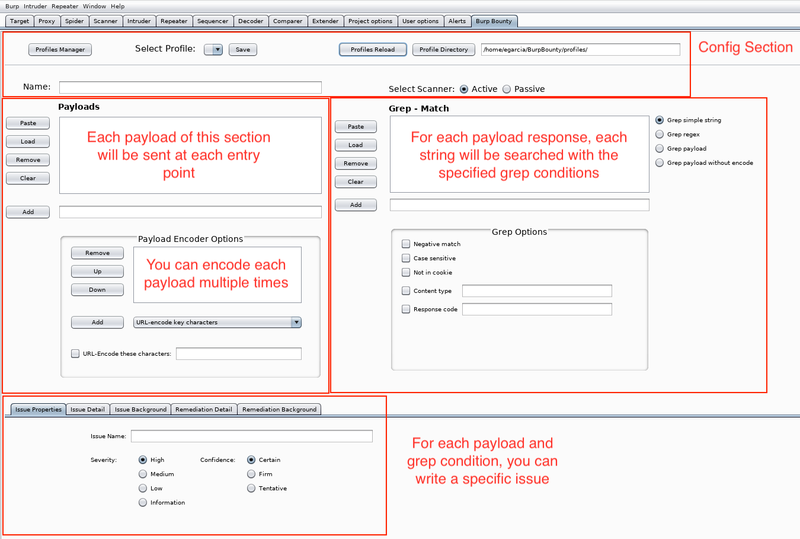 This extension allows you, in a quick and simple way, to improve the active and passive burpsuite scanner by means of personalized rules through a very intuitive graphical interface. Through an advanced search of patterns and an improvement of the payload to send, we can create our own issue profiles both in the active scanner and in the passive. This Extension Requires Burp Suite Pro. 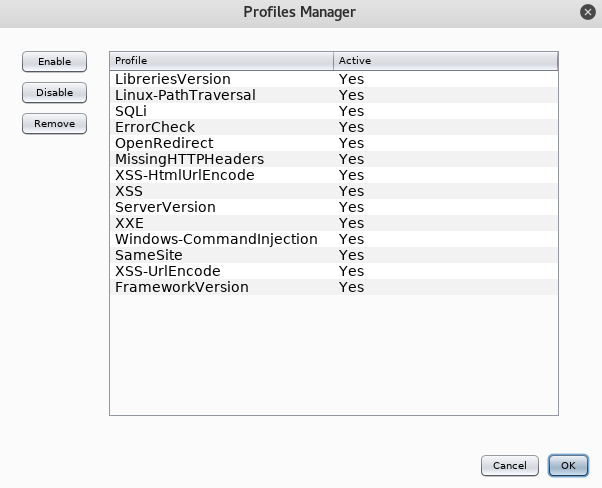 Profile Manager: you can manage the profiles, enable, disable o remove any of them. Select Profile: you can choose any profile, for modify it and save. Profiles reload: you can reload the profiles directory, for example, when you add new external profile to directory. Profile Directory: you choose the profiles directory path. You can add many payloads as you want. If you choose “URL-Encode these characters” option, you can put all characters that you want encode with URL. For each payload response, each string, regex or payload (depending of you choose) will be searched with the specific Grep Options. In this section you can specify the issue that will be show if the condition match with the options specified. And others details like description, background, etc. In general any string or regular expression.